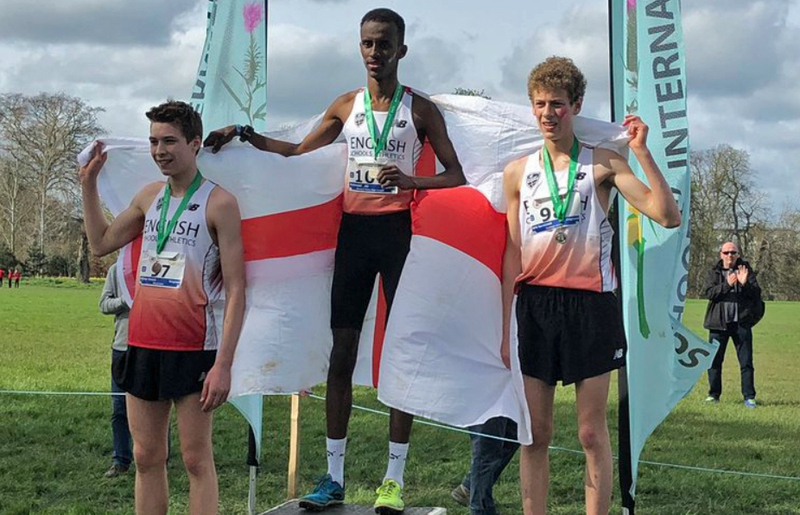 MOUNT Kelly College pupil Oliver Smart picked up an individual bronze medal and a team gold on his debut for England at the SIAB Cross Country International in Ireland on Saturday. Tavistock Run Project’s Smart had booked his place in the squad after winning the intermediate boys’ race at English Schools’ Cross Country Championships the week before at Temple Newsam in Leeds. The course in Dublin was much different to the one seven days earlier in West Yorkshire and suited different athletes. Middlesex’s Mohamed Ali, who had missed out on a medal in Leeds, won the SIAB International, finishing in 18.07 minutes, with Surrey’s Will Barnicoat finishing second like he had done at the English Schools’ Championships in 18.19. It meant England claimed a one-two-three which saw them easily win the team event, ahead of Ireland, Scotland and Wales. Smart’s Devon colleagues Flynn Jennings (Bideford) and Johnny Livingstone (Exeter Harriers) were part of the England team. Meanwhile, Tavistock AC athlete Tess Masselink made an impressive start to her outdoor season in America by winning the 2,000m steeplechase event at the 2019 Rainbow Relays in Honolulu, Hawaii. The former Callington Community College pupil, who is studying at the College of Charleston, triumphed in a quick early season time of 6:52.71.